First Edition. This work is an illustrated manual that shows step-by-step the art and science of fine leather bookbinding. The author learned the ancient craft from one of England's foremost binders, Alfred de Sauty. In this important work, he takes the reader through the intricacies of traditional leather binding. SALES RIGHTS: Worldwide except in the UK; available in the UK from The British Library. I've been devouring bookbinding books over the past 15 months, I've read through a dozen at least and have many more on the shelf. This volume by Edward R. Lhotka is concise, detailed, illustrated, clear and enjoyable. This is specifically for the traditional to modern leather bookbinder. 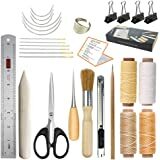 It shows tools, including diagrams for how to make your own sewing frame, techniques, clear step-by-step tutorials and critical information for the craftsman and hobbyist alike. 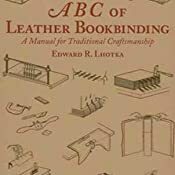 I have never used leather in book binding and was really hesitant until I bought this book. 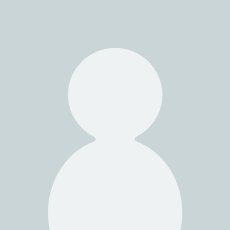 This is a well written and carefully diagrammed treatise on hand bookbinding. After purchasing some materials and making some of the equipment illustrated in the book I did not have, I have successfully completed my first project, a repair of an old leather binding. I am starting on binding some of my favorite books in matching leather covers, which I would not have tried until I bought this book. 3.0 out of 5 starsToo expensive for what it is. Not worth the money and very poor instructions and images. You could learn more for free on YouTube. Id feel better if it was less than $10. An illustrated manual that shows step-by-step the art and science of fine leather bookbinding. Edward Lhotka learned the ancient craft from one of England's foremost binders, Alfred de Sauty. In this important work, he takes the reader through the intricacies of traditional leather binding with the skill of a patient teacher. Every step is ilustrated along with a short clear explanation. To lessen confusion, Lhotka doesn't explain all the different ways a procedure may be done; he concentrates on his way, as taught by de Sauty. 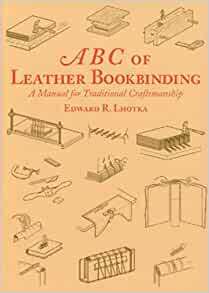 ABC of Leather Bookbinding captures a time-honored method of fine binding. This method was created and perfected by masters in the craft. As a unique reference work, this manual belongs on the shelves of students, conservators, and binding historians. 4.0 out of 5 starsOld School, but solid. Though he doesn't go into extreme detail, the work in this book is classical and well done. There are no pictures, instead there are line drawings. The explanations are very good, and like I said, it's older in content. This wouldn't really help a beginner out much, but it's a good book to have on the shelf for someone who already has book making skills and want a reference guide to how work was done in the mid-1900s or so. I received this book two days ago and I am really enjoying it. In my opinion the drawings are clear and the explanations are easy to understand. It is a good reference for those interested in classical bookbinding.